were ever born, God knew about you and the particular needs you would have. one of the reasons God’s Word offers help and hope for you. discover how wonderfully our loving God meets your daily needs. 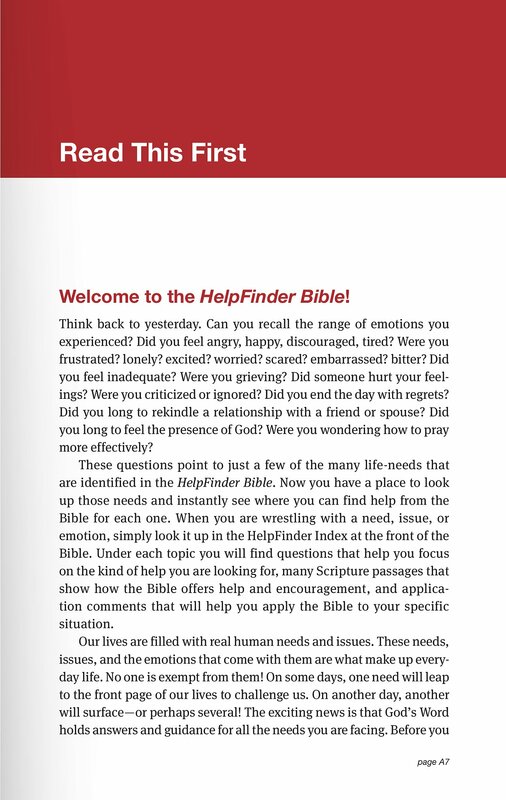 of connected Bible verses and application notes at your fingertips. (at the back of the Bible). Index and the Quick Topic Finder. Finder also gives page numbers for the in-text application notes and offers additional Bible promise texts. we keep the passages we read in their larger context. on how God uses stories to reveal his truth and help us to connect it to our lives.